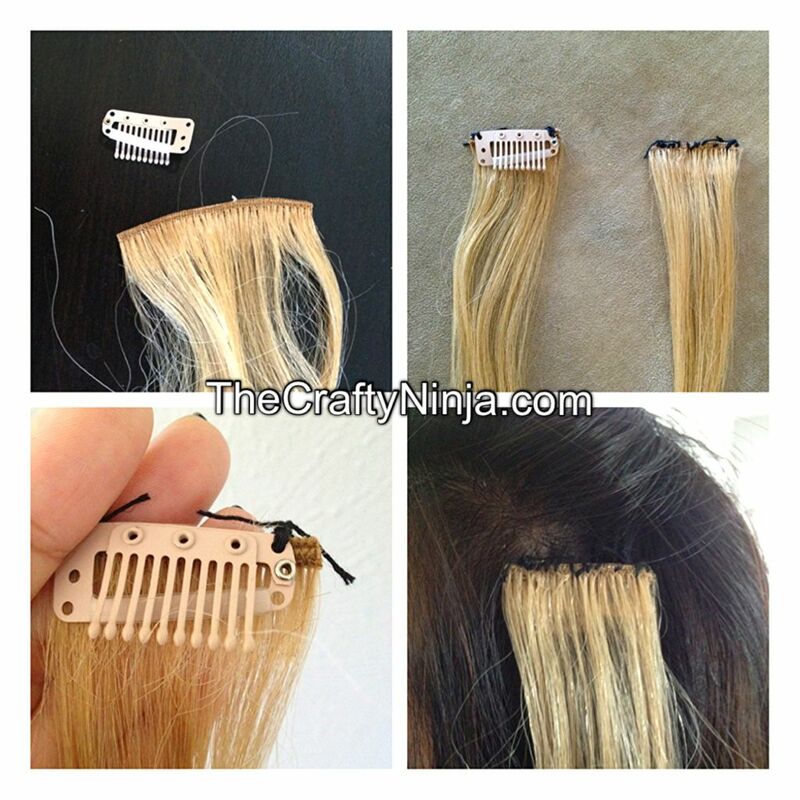 Today’s tutorial is creating Hair Clip Extensions so you don’t have to damage by bleaching your hair and creates an instant pop. These human hair extensions can be reused, washed, and flat ironed just like normal hair, but synthetic hair cannot be. Check out my tutorial I did dyeing the hair extension with Kool Aid here. Supplies needed: 18 inches human hair: here or here, Weave Clips, Thread, and Needle. I have long hair so I needed 18 inches, but there are other lengths and colors here. To get started I measured out the weave clip on the hair and cut. Leave the weave clip open so you don’t accidentally sew on the wrong side. To clip in: Flip your hair over and clip the extension close to your hairline, then flip the your hair back over to hide the clip. 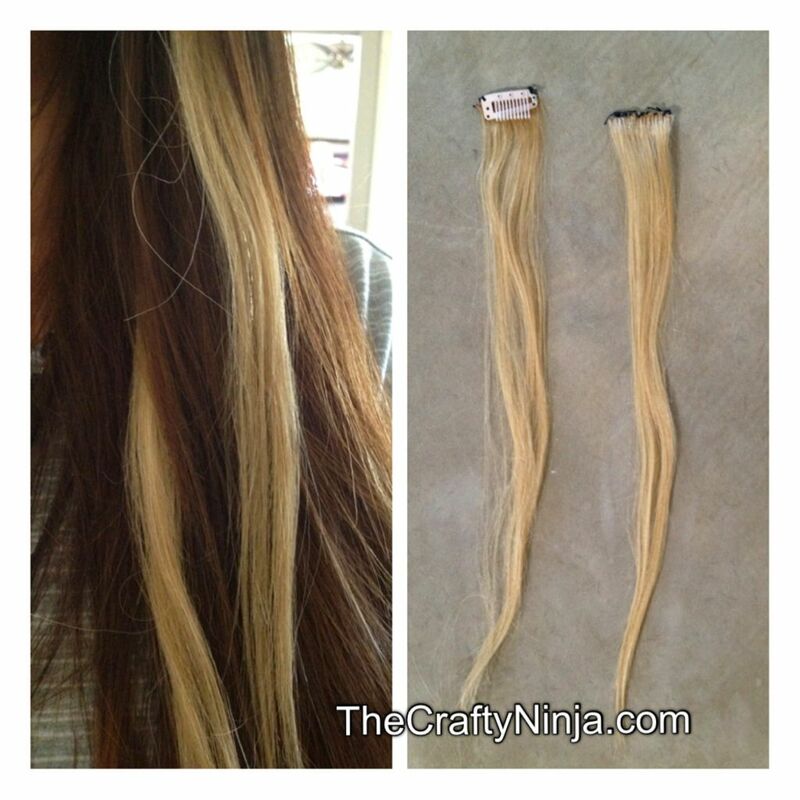 Here is an example I found online on how to apply the hair extension, note that this image is not mine. If you want to add length that it is important to color match your hair. Sew several weave clips across the weave of the hair and clip in. If you are not confident in sewing in your hair you can purchase pre-made clip in hair extensions here.